Mitsuki is a friend of Misaka who seems to have a crush on her, though Misaka doesn't like him, and in order to get him away she and Touma pretend to be girlfriend and boyfriend. He is the grandson of the principal of Mikoto's school. During the events of the volume 5 his appareance is borrowed by the magician Etzali, which he fought and got defeated and then imprisoned about a week before the story starts, where is said he was harrasing Misaka Mikoto, revealing the contradictions of Etzali's alibies about practicing at the sports club and other during his talks with Kamijou Touma. According to Shirai Kuroko investigations, he actually got his grades through cheating. His method is to put a thin layer of his ability on the computer screen for the exam, feel the minute heat and radiation, and reverse-engineer the correct answer. This is one of the reasons that Kamijou Touma figured out Etzali is borrowing Unabara's identity, since the real Unabara is supposedly not that smart when Etzali helped Touma do his summer homework. Judging from Mikoto's unability to distinguish between the two, it's implied that Unbara's personality is the the one that Etzali portrayed while in disguise; that would be the character of a kind, straight and considerate young man that is quite modest about his great looks, it should also be noted that Unbara's grades are the best of his class, althrough the fact that he got his rank through cheating might be his only evident personality fault. 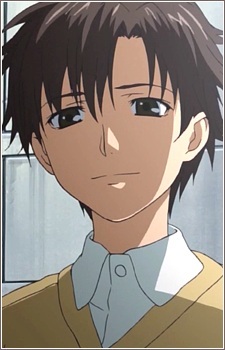 After the events of Volume 5 his identity was still borrowed by Etzali, and his own whereabouts unknown; through in every existent media of To aru majutsu no Index he managed to escape from his imprisonment without suffering life threatening injuries. His ability is Level 4 Telekinesis (念動力, Nendō Ryoku?, lit. "Telekinetic Force"), a kind of unseen power that can control objects from a distance. He not only can use his ability to cover objects at a far distance, but he can also use his powers in his own body. According to the novel, when Etzali attacked Unbara and peeled off some of his skin and severely injured him, Unbara managed to save his life with his own power, which he used to petrify every cell of his body; leaving him in a state that Etzali described as similar to "cryogenic stasis". In this state Unbara could not perform any movements, but he also could not suffer any harm reagardless of what attack Etzali launched at him.